Opossums can be found scavenging and living in attics and under houses. Other complaints include dead opossum on property or roadside and stealing pet food or bird seed. They carry a large amount of parasites which serve as vectors for the diseases they can transmit. 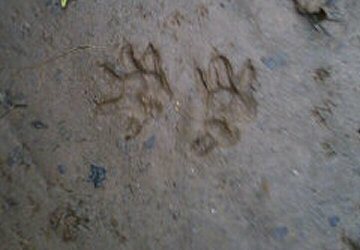 They also leave a lot of droppings, which pose the usual excrement health risks, such as leptospirosis or salmonella. 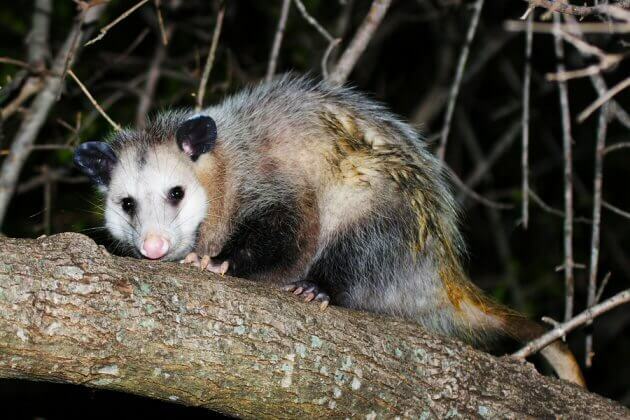 Opossums are found in forests, farmlands, grasslands, urban and suburban areas and near water. They are nomadic, staying in one area from six to twelve months. 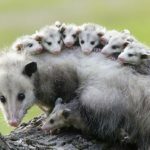 Maintaining a number of nesting sites, opossums nest in hollows of trees or in burrows of other animals, under brush piles, under houses or decks, in garages, sheds, or attics, as long as it is a dark, cool and quiet place where the opossum can sleep during the day. They construct rough nests of leaves and grass. Opossums have a heavy set body that resembles a large house cat. It is easily recognized by its white face and large, rounded ears. The foot-long tail is pinkish and naked and the opossum uses it for grasping and climbing. Adults average 10-14 lbs. 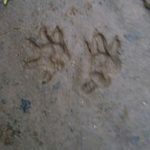 They don’t live very long, rarely more than two years, three max. Opossums are nocturnal animals and have very poor social development. Females tend to live in groups, but the males fight when confined together. 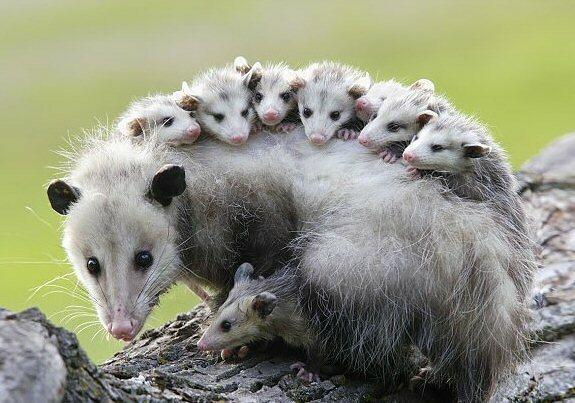 Groups of opossums are composed primarily of young because of their short life span. 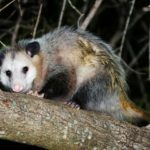 Opossums, both male and female, can be aggressive when threatened. 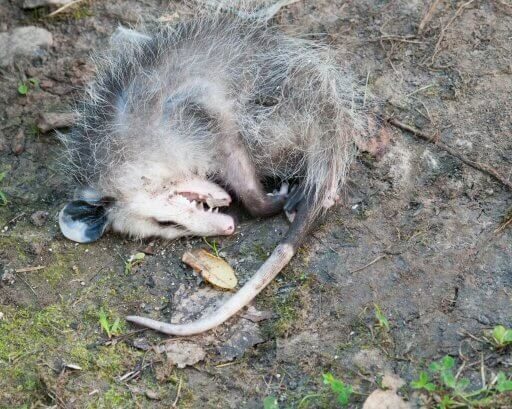 They use various forms of intimidation to defend themselves but Opossums are well-known for pretending to be dead to avoid being eaten by predators. 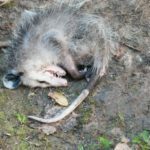 This is called “playing dead” or “playing possum.” When an opossum thinks that it is being threatened it will go into a catatonic state where it appears to be dead, they go limp and their breathing becomes almost undetectable. Many predators will not eat prey that is not “alive,” so this little trick can be an effective defense mechanism. They re-awaken when the perceived danger passes. Opossums have been known to get into human garbage, they are scavengers and rarely prey on live animals. Opossums can carry and transmit human diseases such as rabies, as can most mammals.